Ian invited me to have lunch at Simplé Lang restaurant that was featured on Kris TV. 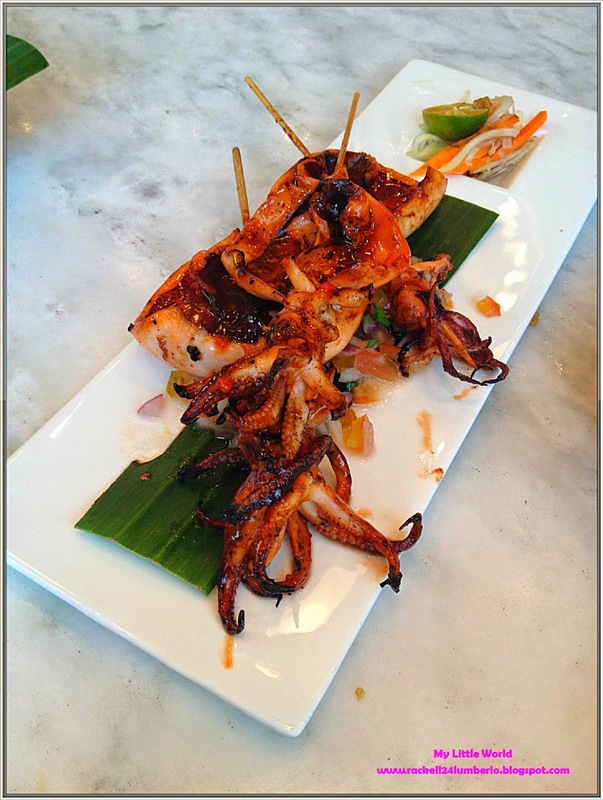 We are so curious about it and we wanted to know how it is different from other Filipino restaurant. 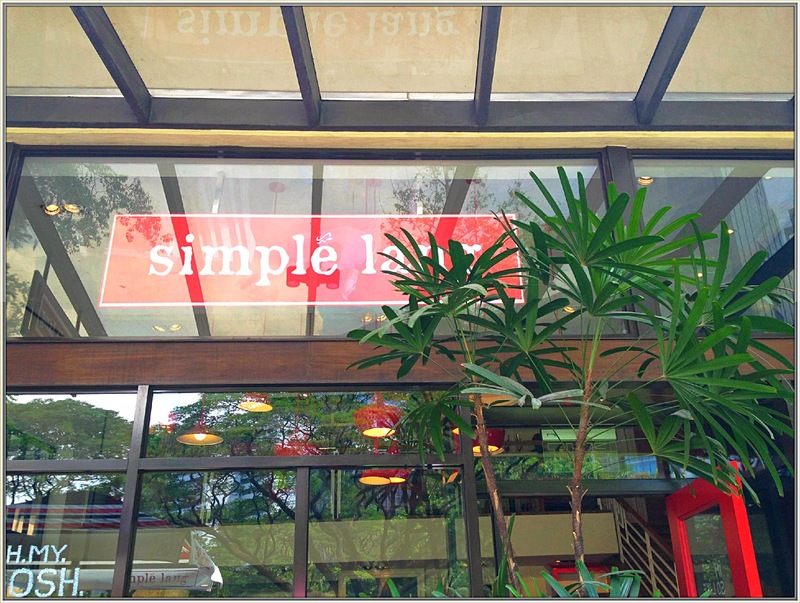 Simplé Lang is located in the middle of the restaurant row in Ayala Triangle which is super lapit lang sa office namin pareho kaya gorabells na kami. Since it’s already lunch time when we arrived, expect the long queue of people waiting for their turn. It took more than 15 minutes for us to get seated and another 15 minutes before our food arrived. I love the place because it was quiet interactive, ang kulit kasi ng mga nakasulat eh. Nakakatuwa. 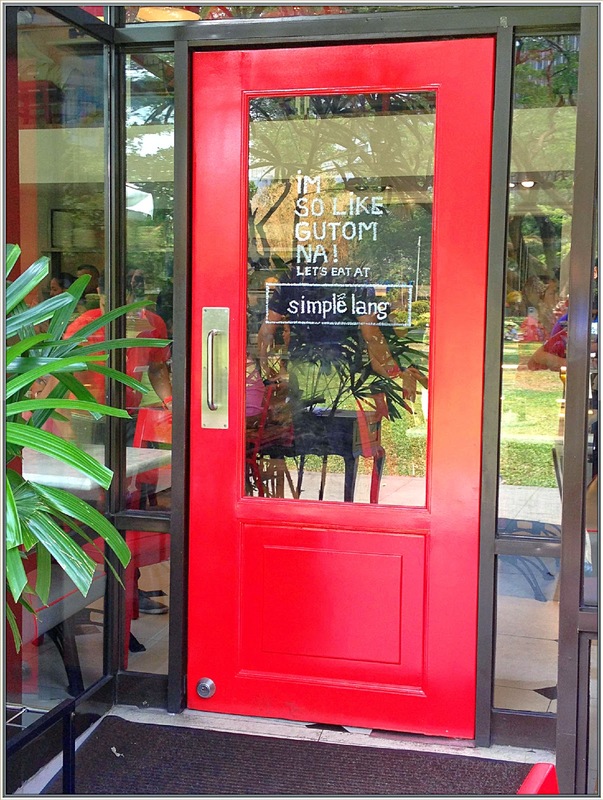 “I’m so like Gutom na, let’s Eat at Simplé Lang”, there are also hash tag written on the windows as well as their fb page wherein you can tag/post your pictures in their page. 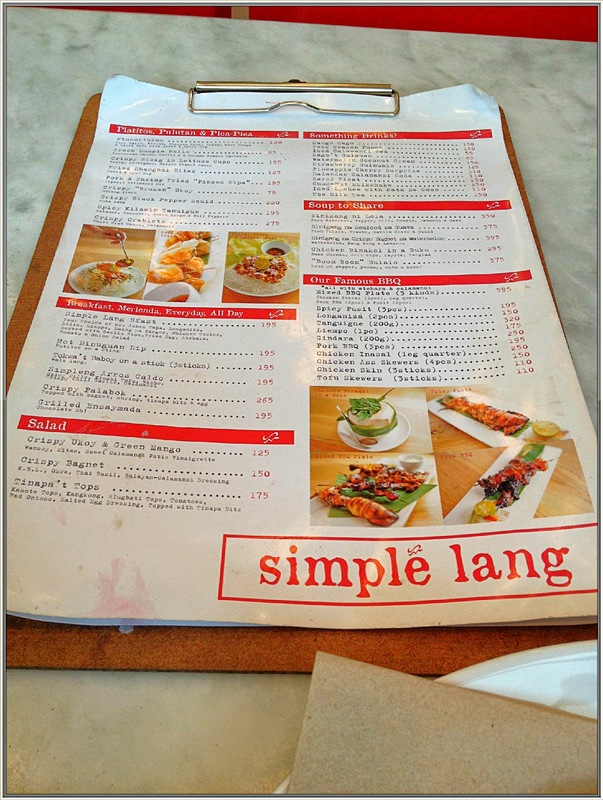 Simplé Lang offers simple and delicious Filipino food in a unique way. 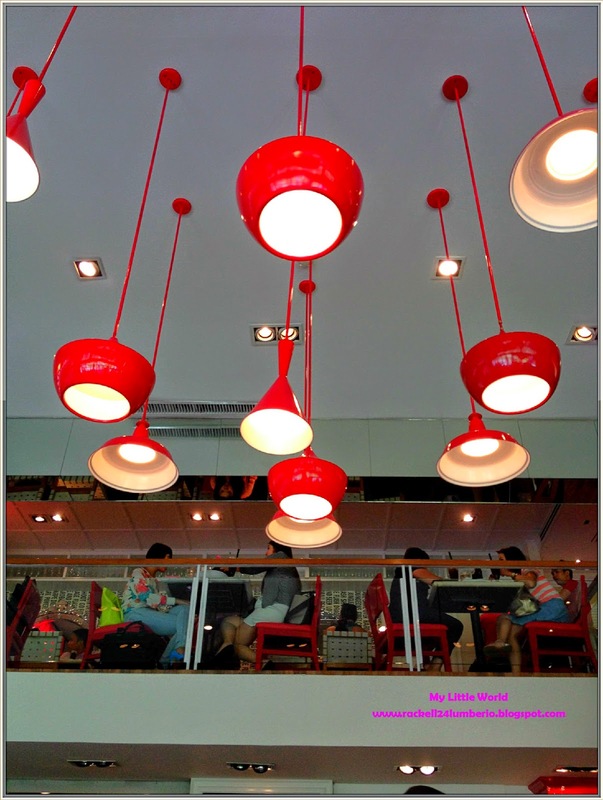 The restaurant has a high ceiling with drop-down red lamps. Para nga syang restaurant ng coca-cola kasi naman red and and black yung theme, but you know what, I love it. Hehe. It has a second floor and table outside for those who prefer al fresco dining. 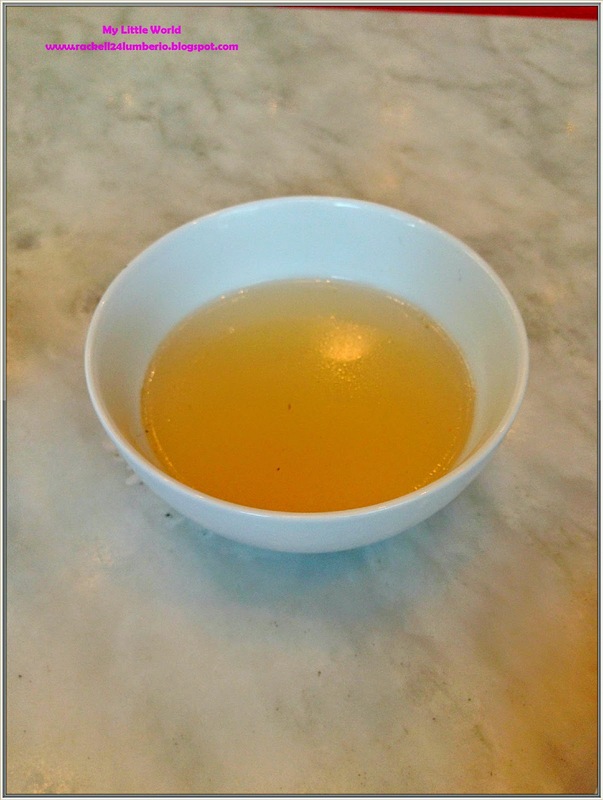 Anyway, as we arrived the staff handed us their simple menu and their complimentary hot bowl of their chicken broth. It’s unlimited so you can ask for another bowl throughout the meal. The soup was good and tasty, salamat at nainitan rin yung sikmura namin. I love how Simplé Lang labeled their condiments, ang galing ng nakaisip nito. 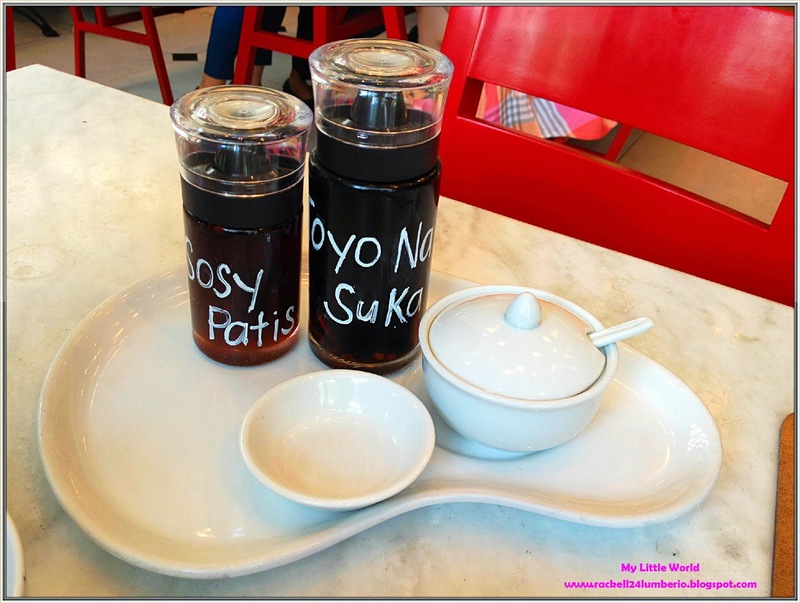 So meet, “Sossy Pati” and “Toyo na, Suka pa”. Hehe. Let’s go with the food we ordered. 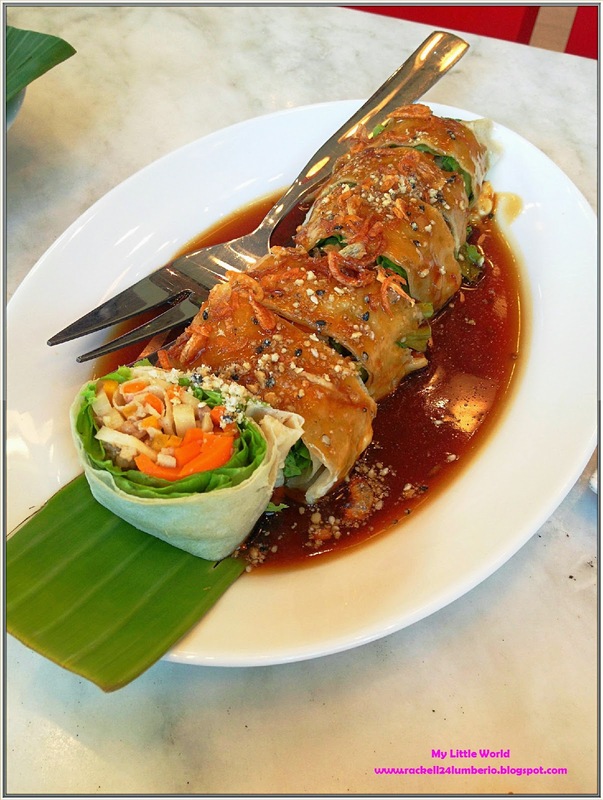 I want to try their Fresh Lumpia Rolls, a vegetable-filled spring roll with muscovado sauce, sprinkled with garlic and sesame peanuts. The vegetables inside are crispy and yummy plus I love their sauce, malasa sya promise! 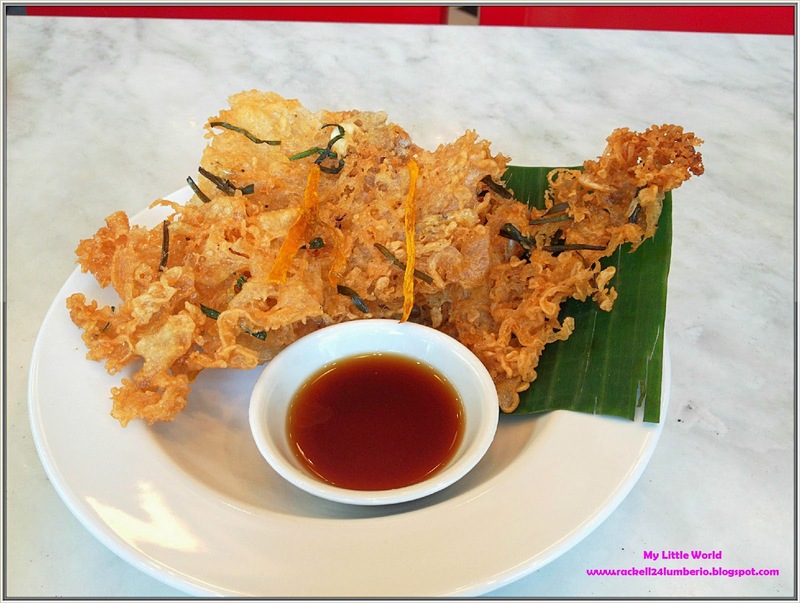 Ian ordered for Crispy “Broken” Okoy with Sukang Iloko. I love it since it was crispy and tasty, samahan pa ng napakalasang suka. The best talaga! He chose to add Spicy Pusit, it wasn’t spicy at all but I really liked the wait it was presented. Overall, I highly recommend Simplé Lang very affordable, nice ambiance, and the dishes are so good or should I say quiet simple. Oooppss. I forgot to say, there are still things that should be worked out like the service, medyo mabagal ng unti eh. I understand naman since it was soft opening when we arrived, but for me it was definite must try!